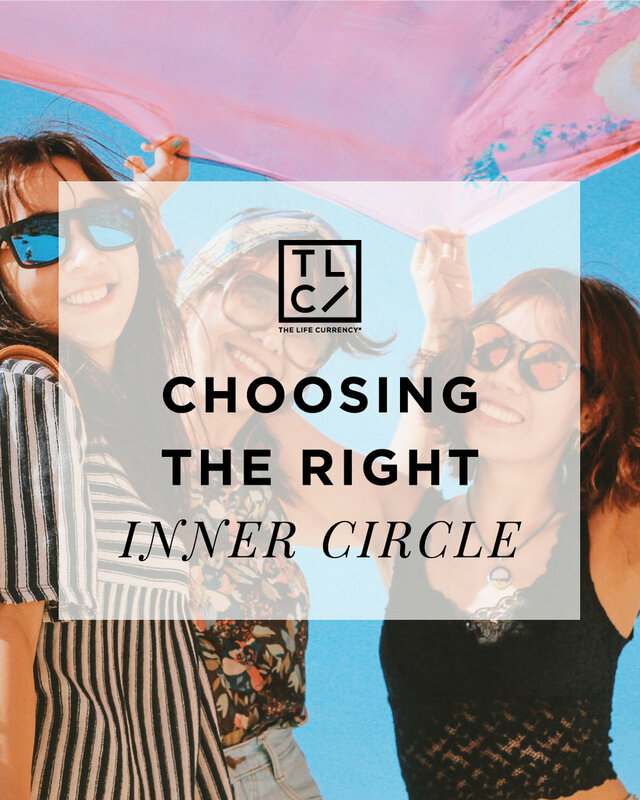 One of the most important things I have learned while navigating through my everyday journey is understanding the importance of who I surround myself with and the people I keep in my circle. Each time I come in contact with someone in a prominent position, or in a position of power, they stress the importance of who you surround yourself with. While we usually let this idea blow over our heads, with a mentality of “What my friends do doesn’t have anything to do with me,” it’s deeper than that. Ask yourself this: Are the people around you making you better? Are they pushing you? Do they believe in you? Do they want to see you elevate? The answer to all four of those questions should be YES. You may be thinking “I don’t need anyone to motivate me, I can do that myself.” That’s true, but there will be times where you doubt yourself, where you fall in a hole and you need someone to see the best in you, even when you don’t. You need someone who will push you and say, “Girl go! You got this!” Having a person who sees your potential in moments where you may not see it and who will pick you up when you can't pick yourself up is essential to your growth and confidence as an individual. These type of people will give you that extra push to continue in your craft and to keep moving forward. It always takes more than yourself to get where you want to go. The truth isn’t always pretty, but those who keep it real with you are people you need to keep around. Too many of us keep around individuals who don’t tell us the truth when we need it most, especially in terms of our work. They're scared to be honest about something you did or even something you worked super hard on, but the truth is what helps makes you better. If everyone told you everything you did was great, how will you know what you need to work on to be better? Truthful people help you see outside yourself and it enables you to take on constructive criticism that can ultimately uplift you and the things you do. I remember I worked really hard on a project that I personally felt was amazing and I showed it to my mentor and she told me she loved it, but then proceeded to tell me everything she didn't like as well and what I could do to make it better. She helped me open my eyes to pieces I didn’t realize and that I thought were good in the moment, but weren’t. This ultimately helped enhance my work. Surrounding yourself around people who have your dream job or are in key positions can be an extremely vital resource in your journey. This is because it gives you an opportunity to learn. Go out and ask people you look up to if you can shadow them and ask them questions. Surrounding yourself with successful people allows you to experience why they are fit for the role they are in and what is required for you to one day get there. What’s better than being surrounded by people who have achieved the goal you ultimately want to reach? People who love you under any circumstance is an important factor when navigating through life. Sometimes a little love is all you need and feeling that can be very empowering and refreshing. If you have people who love and care for you unconditionally, make sure you keep them in your circle. Life is a journey that’s full of ups and downs and along the way people are apart of your life. As you get older, you'll drop off people and pick up more people. Pick up people who will challenge you to do and be better. Pick up people who are contributing to lifting you up and want to see you thrive. Surround yourself with positive individuals who bring you up and never down.